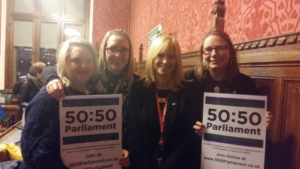 “Here, you are a woman first, and party-political second,” Rosie Duffield, Labour MP for Canterbury told a packed room of women who attended Parliament on November 21st at the invitation of their MP. The November 21st #AskHerToStand day was a celebration of 100 years since the Parliament (Qualification of Women) Act gave women the right to stand for election. Rosie was speaking at an evening panel discussion, alongside Helen Pankhurst and women MPs from all parties, organised by 50:50 Parliament. Other events during the day were hosted by The Fawcett Society, the Centenary Action Group and the Jo Cox Foundation. To party activists, like myself, who spend our weekends trying to convince people to vote for the party we support and see the other parties as ‘the enemy’ Rosie’s words at first seem surprising. But what those of us involved in party politics soon learn is that in order to thrive women need a sisterhood behind them. 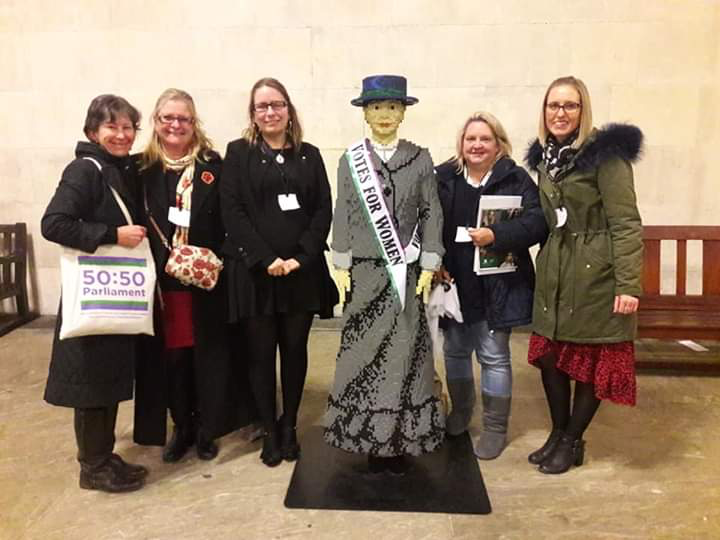 The 50:50 event I attended featured prominent MPs including Dawn Butler, Maria Miller and Wera Hobhouse, from the Labour, Conservative and Liberal Democrat parties respectfully, as well as Green Party Deputy Leader Amelia Womack and The Women’s Equality Party’s Mandu Reid. Solidarity between the speakers was palatable and it was clear all felt Parliament remained male dominated in its structures as much as in numbers. Presently there are 208 female MPs, an all-time record, compared to 442 males. But in the past 100 years less than 491 women have been elected to Parliament compared to around 4,500 men over the same period. Walking through the House, with statues and pictures of men everywhere, a woman cannot help be reminded how our voices have been ignored throughout history and why we need to ensure we will be ignored no more. Women can and should be the voice for all the issues ignored for decades – maternity, childcare, flexible working, nursery provision – all these things are important and we need people in Parliament who have experience of them in order to make them better. Inspiring, supporting and encouraging women on the path to Parliament with our #AskHerToStand and #SignUpToStand programmes.